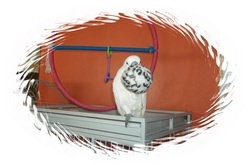 We are an avian rescue that exists solely through funding from private donations. 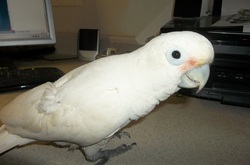 We rescue, rehabilitate & re-home birds of all types, from large Macaws to little lovebirds & canaries. We are committed to the public education of the responsibilities of being an avian keeper. We do not promote the breeding of birds, or "sale for profit" in any way, unless it is to protect the species. After having birds for a few years, our rescue started when we took in some parrots that desperately needed help. We now house around 25 birds (average). Many of them we are hoping to find "forever homes" for, but it is very difficult to find people who are willing to commit their lifestyle to a bird (or birds). It takes a lot of responsibility, time, patience & expense to properly care for these birds. Any donations are greatly appreciated!